In total, 3032 individuals were sterilized in Kansas, 58% of which were male. In terms of the total number of sterilizations, Kansas ranks 6th in the United States. Many more people with mentally illnesses (2,063) than people who were considered “mentally deficient” (856) were sterilized. Sterilizations legally began in 1913 and ended in 1961 (Paul, p. 627). There were a few cases of sterilization before it was legalized, however. The superintedent of the Kansas State Home for the Feebleminded at Winfield, Dr. F. Hoyt Pilcher, performed 58 castrations, and even as many as 150 sterilizations in total. This process began in 1894 and ended several years later when Pilcher was removed from his administrative position (Paul, p. 617; Wehmeyer, p. 58). After the passage of the sterilization law in Kansas in 1913, 54 sterilizations occurred over the next seven years, because there was still a great deal of doubt and uncertainty regarding the laws. Thus sterilizations occurred at a relatively slow rate up until 1921 (Paul, p. 627). With the passage of new laws and a new widespread acceptance, however, sterilizations began to increase rapidly until 1950. The rate of sterilization decreased steadily until 1961, when they ceased altogether. The rate of sterilizations per 100,000 residents per year during the peak period of sterilizations, the mid 1930s, was about 10. In 1913, the Kansas legislature passed the first sterilization law in the state. Many felt that the law was problematic, and thus its enforcement was less than stellar (Paul, p. 618). In an attempt to make the process of the law easier, a second law was passed in 1917 which eliminated some of the work for the institutions (Paul, p. 619). The 1913 legislation was directed at “habitual criminals, idiots, epileptics, imbeciles, and insane” (Paul, p. 618). The 1917 law targeted the same groups, but eliminated the courts’ approval from the decision (Paul, p. 619). The first law required institutions to examine all who were identified as belonging to the aforementioned categories (Paul, p. 618). These authorities then made recommendations to the district or state courts, which made the final decisions regarding sterilization (Landman, p. 68). This law contained no provisions for the court processes such as hearings or appeals (Paul, p. 618). The 1917 law did away with the role of the courts, instead creating a board of examiners composed of the authorities from the institutions as well as the secretary of the State Board of Health (Paul, p. 619). Under this law, the inmate was given advance notice of his hearing, at which he was allowed to provide a case for defense. After studying the case and hearing the arguments, the board had the final authority in the question of sterilization (Landman, p. 69). In spite of carrying out sterilizations in the absence of a state law, Hoyt Pilcher was re-appointed as the superintendant of the Kansas State Home for the Feeble-Minded in Winfield in 1897, in part due to Kansans’ widespread fears of a “flood” of degenerates that would engulf the state (Paul, p. 618). However, up until 1925, a conservative portion of the population held onto fears related to Pilcher’s sterilizations and the political outcry they caused. After the infamous Buck v. Bell case in 1927, public approval of sterilization increased greatly, causing an enormous rise in the rate of sterilizations in Kansas (Paul, p. 619). Another important factor that contributed to the popular acceptance of sterilization legislation was the existence of the “Fitter Families” contest that started at the Kansas State Fair, but quickly spread to other states. Pictured above, these competitions encouraged families to “breed” superior children that would fit the rigid judging standards. The Fair was heavy with propaganda, and helped to normalize the idea of genetic superiority and inferiority (Lovett, p. 5). The idea of “eugenic marriages” began to take hold with the popularity of the Fitter Families contest. These marriages, designed to breed the most desirable offspring, began with a marriage in Iola, Kansas (Michael, p. 20). In 1903, Kansas also passed a miarriage restriction law, which did not apply to those women over the age of 45, under the pretense that it was no longer likely that those women would bare children. Breaking the law and marrying someone who was deemed unfit (alcoholic, feeble minded, etc.) resulted in up to a $1,000 fine or three years in prison (Woodward, p. 71). In addition to those with intellectual disabilities and the mentally ill, habitual criminals were also a targeted group (Paul, p. 618). In addition to laws regarding sterilization, several marriage restriction bills were proposed in Kansas as part of the eugenics movement. Although they were never enacted as state law, marriage bills were proposed in 1915, 1917, and 1927, demonstrating the popularity of eugenic ideals (Michael, p. 20). Florence Sherbon, a physician who specialized in the reduction of infant mortality, was a major proponent of the “Fitter Families” contest at the Kansas State Fair. Sherbon used these fairs to popularize eugenic theory, hoping to engrain the idea that those with more desirable traits were morally and physically superior to those who, for example, were not as intelligent or good-looking. Sherbon favored long, involved examinations in the evaluations of the family members, whereas some of his colleagues encouraged shorter, more intensive testing. Eventually Sherbon developed a widely accepted system for the examinations: a short exam for the fairs, a longer one for the Fitter Families Examination Center, and an even more involved exam for those families wishing to submit their information for Eugenic record-keeping (Lovett, pp. 9-17). Perhaps the most famous site of sterilizations in Kansas is the Winfield State Hospital. The Winfield State Hospital opened initially in 1881 on the University of Kansas campus but soon relocated to the town of Winfield in 1887, receiving the name change "The Kansas State Asylum for Idiotic and Imbecile Youth" and had thirty-one students (Seaton, p. 252). The new location, further away from the more public University of Kansas central campus, allowed for the Asylum to become more self sufficient, using the young students as an indentured work force, raising vegetables, meat, grain, having its own water, and even putting out its own fires instead of relying on the public fire departments (Seaton, p. 252). On July 1, 1893, Dr. F. Hoyt Pilcher was named the superintedent of the Asylum, after an increase in the number of students. This is the point at which the eugenics movement began to have a greater influence on the Winfield Institute with the Progressive movement. In this state home Pilcher “de-sexed” his patients (Paul, p. 617), no longer focusing on simply keeping the "feeble-minded" in the institution, but sterilizing them so that, in the event that they left the institution, they would not enter society sexually. The number of students at the Institute began to grow at an exponential rate. "In 1900 it was 173, and in 1910 it was 419. By 1916 it was 589" (Seaton, p. 253). In 1909 the name changed to the State Home for the Feeble-Minded, after many of the epileptics in the institution had been sent to the newly founded Parsons Institute which attempted to use newly discovered medical treatments for epilepsy. It is important to note that the original emphasis of the Winfield Institute was education, training those at the Institute to live in society. By the 1920s, however, the emphasis was placed on agricultural productivity as both the male and female clients were put to work throughout the institution, so that it could become its own system. no longer training the students to live in society, but training them to live in their own self-created world. By 1933 it was called a “custodial institution for the helpless” and the emphasis was on discipline, cost-cutting, and farm productivity, which included a name change again in 1930 to the State Training School. . At this time, further sterilizations occurred (Seaton, p. 254). The population at Winfield peaked during WWII when it reached 1,245 clients in 1942 (Seaton, p. 254). After WWII, Kansas hospitals for the disabled were assessed and several problems were found at Winfield. Although there were not recorded accounts of physical abuse, handcuffs, leg irons, and whips were found in the hospital and in February 1987, 14 employees were fired and 13 were suspended after claims of client abuse in the men’s wards (Seaton, p. 257). In 1991, after a long history of turmoil at Winfield, the governmental process of closing the hospital’s doors began. It was part of a movement fostered by the idea that the developmentally disabled had civil rights that should be protected. Finally, in March 1998, after much debate, Winfield closed its doors, and it is now a correctional facility (Seaton, p. 261; Kansas Department of Corrections). The hospital’s closing seems long coming, as throughout Winfield’s 116-year existence, it continuously suffered from “an uncertain mission, a troubled relationship with the state and the community, and overcrowding due to almost nonexistent admission policies” (Seaton, p. 263). Today, three community-based programs serve more than 250 clients in Cowley County, and more than 100 of them came from Winfield (Seaton, p. 261). Topeka State Hospital: At least early on, most of the sterilizations took place in the State Hospital in Topeka (Laughlin, p. 70). 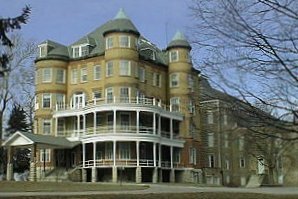 This hospital opened in 1879 after the Ossawatomie State Hospital, once thought to be sufficient, became overcrowded with mentally ill inmates. The hospital closed in 1997, but the building still exists and is currently not in use. 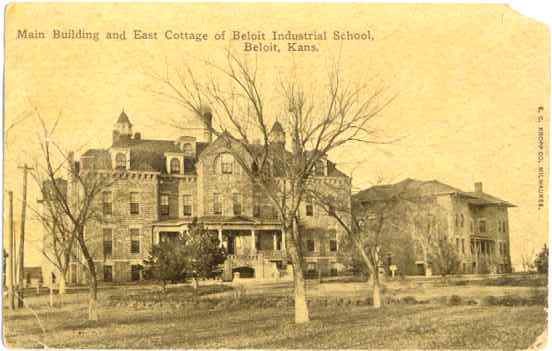 The Beloit Industrial School for Girls was a place where female misfits were to be educated for their re-entry into society. It received significant negative press in Kansas, especially in the 1930s, when reports of sterilizations of a large portion of its inmates emerged for which the process of the law appeared to have been circumvented. The reason for such action was simple: female delinquency, for which the inmates were punished in this fashion (Michael, pp. 21-27). It is currently used as a juvenile correctional facility (Kansas Juvenile Justice Authority). Much of the opposition to the sterilization legislation in Kansas came in the form of conservatives who felt that involvement in the procedures was much too complicated and could lead to legal implications. However, after Buck v. Bell, much of this opposition ceased (Paul, p. 619). It is also notable that in Kansas, not all Progressives were in support of sterilization legislation. Famed Pulitzer-Prize winning journalist and author William Allan White led a sizeable oppositional group of Progressives against the eugenics movement (Michael, p. 9). Kansas Department of Corrections. "Winfield Correctional Facility." Available at <http://www.dc.state.ks.us/facilities/wcf>. Martin, Roger. 2004. "The History of Eugenics in Kansas." Topeka Capital-Journal (Jan. 23). Available at <http://findarticles.com/p/articles/mi_qn4179/is_20040123/ai_n11808086>. Michael, Philip. 2004. "Kansas Eugenics." Undergraduate Senior Thesis, Department of History, McPherson College. Paul, Julius. 1965. “‘Three Generations of Imbeciles Are Enough’: State Eugenic Sterilization Laws in American Thought and Practice.” Unpublished manuscript. Washington, D.C.: Walter Reed Army Institute of Research. Seaton, Frederick D. 2004-2005. "The Long Road Toward 'The Right Thing to Do': The Troubled History of Winfield State Hospital." Kansas History 27: 250-63. Kansas State Board of Administration. 1928. Procedure to Be Followed in Sterilization Cases. Topeka, Kansas: Board of Administration. Wehmeyer, Michael L. 2003. "Eugenics and Sterilization in the Heartland." Mental Retardation 41, 1: 57-60. Woodward, Masten. 2002. 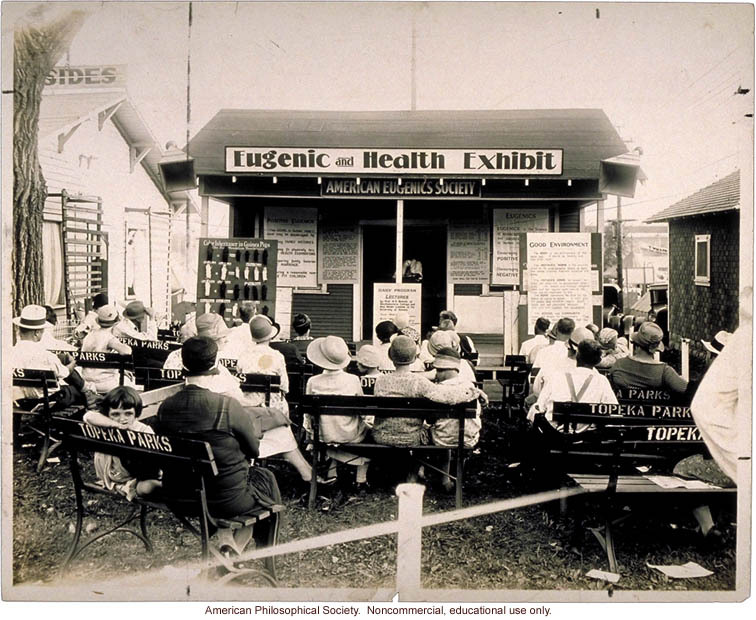 “Kansas' Eugenics Movement.” Master's Thesis, Department of History, Kansas State University.